For questions about sizes, review our about t-shirt sizing measurements. 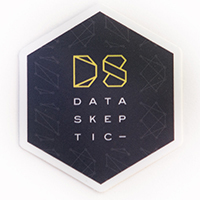 One inch pins allow you to proudly show off your Data Skeptic affiliation on your hoodie, backpack, or sombrero. Black hexagon logo sticker in the widely accepted hex format (2" x 1.73"). These look great on laptops and helicopters. 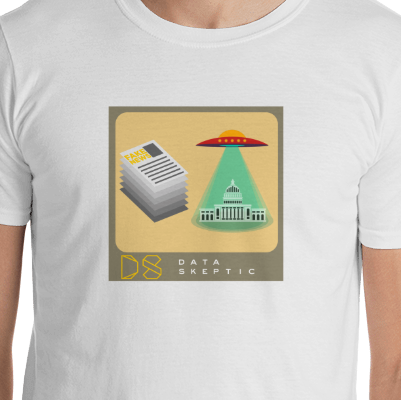 A cool t-shirt. You can wear it! Although it may be stylish, wearing it will not give you any special abilities. 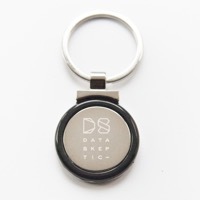 A subtle and classy display of the Data Skeptic logo on a metal keychain. Physical design is strong and can take a beating. 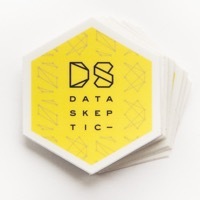 Yellow hexagon logo sticker in the widely accepted hex format (2" x 1.73"). These look great on notebooks and shipping containers. 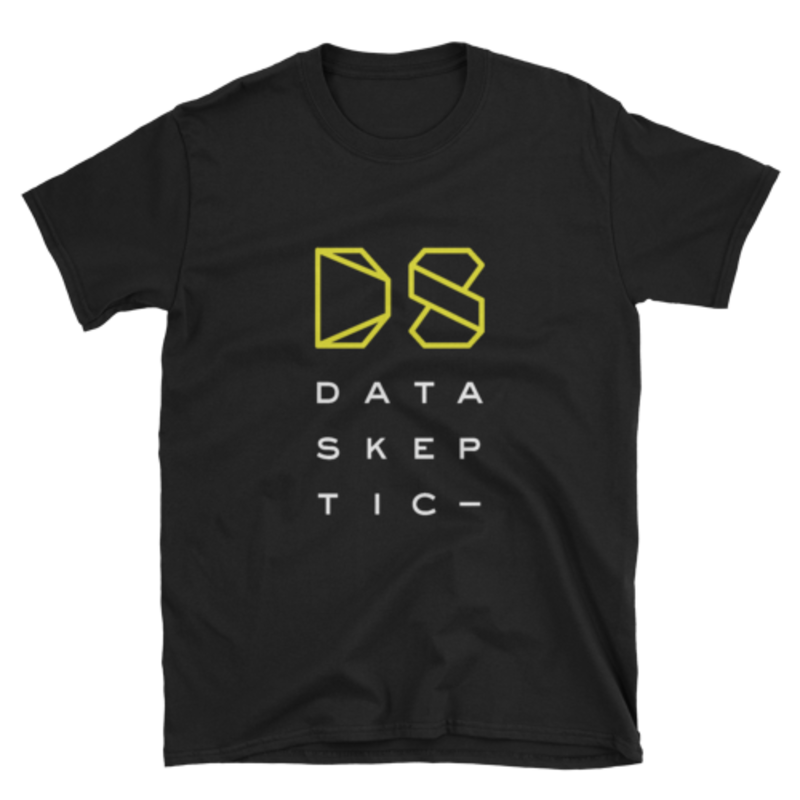 Fake News variant logo tee.